Bilbao Sunday Market. An opportunity to buy clothing, decoration, jewels, books, etc. Happening on Sunday 26th October 2014 in the Museum Maritime Museum. 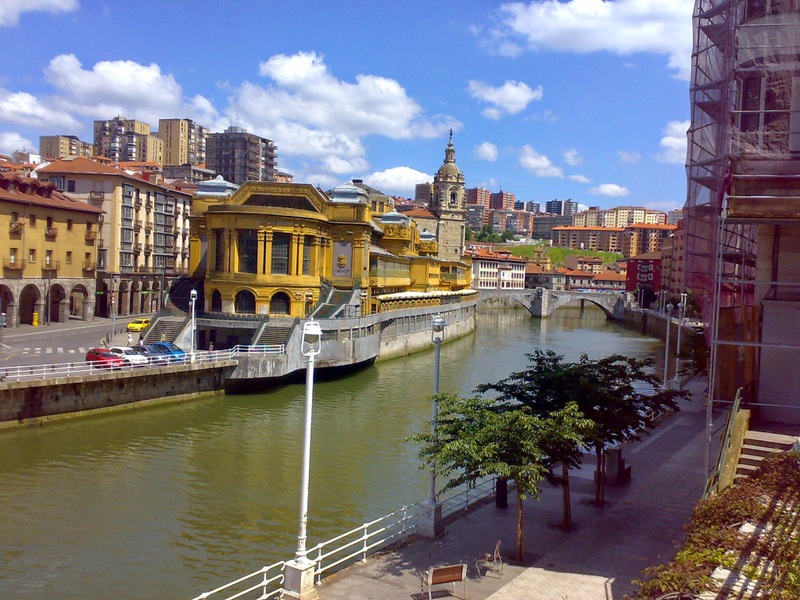 Bretxa Market in San Sebastian - Donostia, Marche aux Halles in Biarritz, Plaza Market in Vitoria - Gasteiz and Ensanche or Ribera Market in Bilbao are open all days except on Sunday with food, vegetables and lots of locals taking advantage of the great prices that they have. Market in Gernika, Bizkaia where local farmers sell their products happen on Mondays. So that you can see them on Monday 6th October, Monday 13th October, Monday 20th October and Monday 27th October. It has to be mention that last Monday in October (27th October) is the most important day of this market and a lot of activities are prepared. Do not miss it! Market in Ordizia, Gipuzkoa a true institution where local producers meet for centuries, happen on Wednesdays. So that you can see them on Wednesday 1st October, Wednesday 8th October, Wednesday 15th October, Wednesday 22nd October and Wednesday 29th October. Market in Tolosa, Gipuzkoa where local farmers sell their products happen on Saturdays. So that you can see them on Saturday 4th October, Saturday 11th October, Saturday 18th October and Saturday 25th October. Market in Vitoria A market where small shops show their best pieces, happening local farmers sell their products happen on Saturdays. So that you can see them on Saturday 4th October, Saturday 11th October, Saturday 18th October and Saturday 25th October. Market in Elizondo, Navarra. A market of animals, food and vegetables on Friday 24th October and Saturday 25th October. In Vitoria, in BIBAT Museum, Antoni Tapies has an exhibit during the whole month. In Tolosa, the Puppet Museum, has an exhibit of water puppets. In Bilbao, the Guggenheim Museum offers the Concert Ensemble Kandinsky-Switzerland on 23rd October 2014 at 7pm. In Tolosa, the Choral Contest on 30th October. In Biarritz, the Festival Biarritz Amerique Latine. With music and films from Latin America until 5th October. In Biarritz, the Basque sport Cesta Punta or Jai Alai is played every Thursday. In Vitoria, Nordic Walking on 22nd November.